By now you will be familiar with Nike’s successful Metcon shoe, but did you know their Functional Fitness training range is expanding? We present to you, the Nike Free Trainer 3.0 V4 – also check out the other Nike Free Training Shoes. The Nike Free Trainer is the brain-child of three of Nike’s most inventive and creative employees. Following a trip to Stanford University in 2002, the three innovators discovered successful athletes training barefoot on the golf course. This discovery turned into an eight-year study of the biomechanics of shoeless training. Their research culminated into a deep understanding of the foots natural landing angle, pressure and toe position. Crying out for a shoe that supported the natural function and diversity of the foot, the Nike Free Trainer was born. Our training, albeit functional and diverse, follows no pattern. We need to be prepared for the unknown and unknowable. We can prepare ourselves physically and mentally but if our gear-game is not on check, we leave ourselves vulnerable. The Nike Free Trainer steps up to the mark in supporting you in constantly varied and high intensity movements. The Benefits of the new Nike Free Trainer? The Nike Free Trainer’s low-profile midsole offers stability and responsiveness. With minimal heel to toe drop, your foot has solid and even contact with the floor. With a solid foundation, you are guaranteed to train solid movements. Being lower to the ground allows for quicker bursts of power and explosive movements. Sound familiar? From high repetition lifting to heavy squatting, the Nike Free Trainer has got you covered. A WOD often demands quick, rapid dynamic shifts of power through the body and these power surges are grounded at our feet. 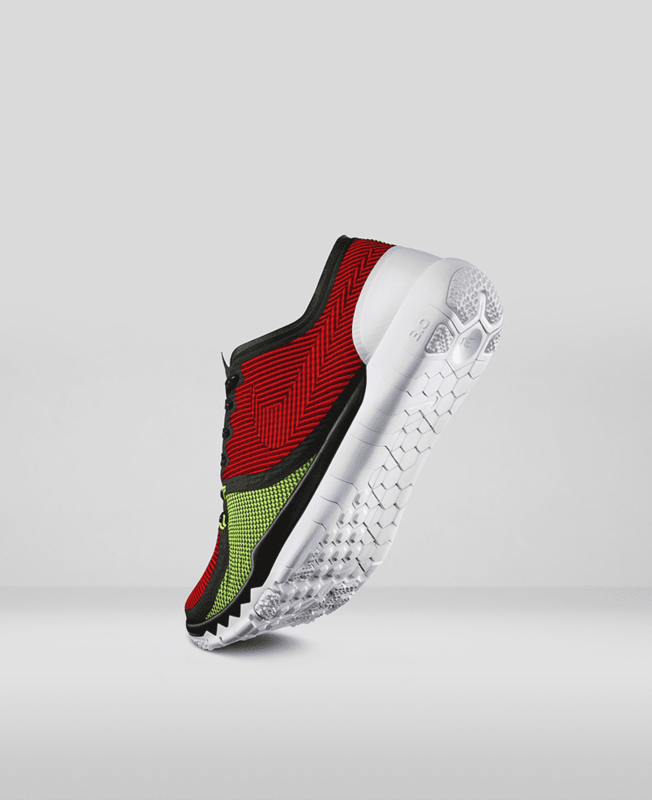 The Nike Free Trainer’s woven circular-knit mesh strengthens when the foot is engaged in order to reduce friction during movement. From swift shuttle runs, to extensive double-unders, the Free Trainer is designed in supporting athletes who want to be explosive in all directions. More importantly, they support the foot when it needs it most. We know. There is nothing worse than having to run during a WOD that involves some heavy lifting. The conflict of having to choose between your lifters or trainers is a struggle for us all. Yet the Nike Free Trainer’s hexagonal flex grooves along the sole allow for your feet to move naturally as intended. The flexion of the shoe allows for more efficiency in dynamic movements. Plus, you will no longer feel like you are running in Clogs. Injury prevention is something we all are familiar with. From movement standards to mobility, but could something as simple as your shoe choice be putting you at risk? The Nike Free Trainer offers abrasion-resistant BRS 1000 carbon rubber in the heel and waffle outsole pistons. In English, this means the heel enhances the durability of the shoe, whilst the pistons on the outsole of the shoe helps absorb impact and heightened responsiveness. Rebounding box jumps? Climbing ropes? The Nike Free Trainer’s technical frame can assist you with your technical movements. More importantly, you can train with confidence knowing the shoe is designed with your safety in mind. 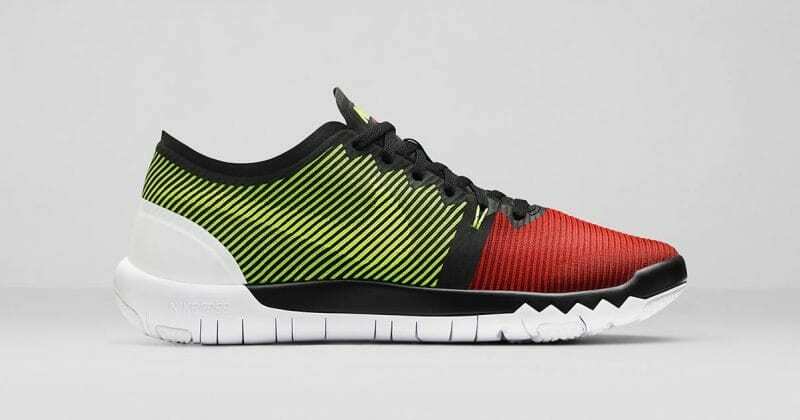 Clearly, you can see the Nike Free Trainer is as diverse as your training. To top it all off, the shoes are beyond aesthetically pleasing. Nike’s signature designs of pops of bold colours and prints have blessed these shoes. Let’s face it, we all walk off the WOD floor a sweaty mess; so you may as well have the sweetest kicks in your box. Gear up for your summer workouts.